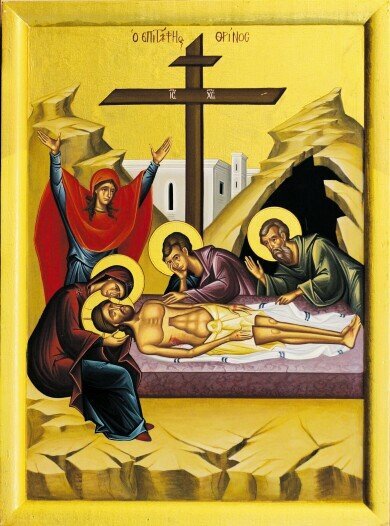 Saturday of Lazarus Parish Family Retreat: Join your fellow parishioners for a wonderful day preparing for Holy Week and Pascha on Saturday, April 20th: 10:00 am Divine Liturgy, 11:30 am Lunch; 12:00 am Palm Tying and Holy Week Preparations plus an Easter Egg hunt and Vigil light craft for younger children and Holy Week Presentation for older children and adults. Youth Greek Dance: Ta Paidakia & Neo Kyma will meet on Saturday, May 4th in the Philoptochos Room at 10:00 am. Evening in Athens Greek Dinners: Saturday, May 4th, join Sts. Constantine and Helen Greek Orthodox Church for their series of Dinners featuring tasty home baked Greek entrees, and pastries served in the casual and friendly atmosphere of their church hall. Lenten dishes are available. These dinners are open to the public. 405 Huntwood Rd., Swansea, IL 62226. 4 - 8 pm. For more information, please call 618-277-0330. Feast of Sts. Constantine and Helen: Please join the parishioners of Sts. Constantine & Helen Greek Orthodox Church in Swansea, IL for their feast day celebration. Monday, May 20th, 6:30 pm Great Vespers and reception; Tuesday, May 21, 9:00 am Orthros and Divine Liturgy followed by a reception. The address is 405 Huntwood Rd, Swansea, Il 62226. Mission Team - St. Louis: The next meeting of The St. Louis Mission Team will take place on Thursday, May 23rd at 6:30 pm at Panera Bread Company, 4561 Forest Park Ave., St. Louis. For more information, please contact Fr. Achilles Karathanos at 314-288-8036. New members are welcome!